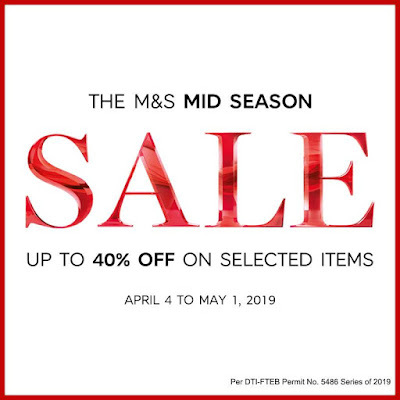 Marks & Spencer's Mid-Season Sale is NOW ON! Get up to 40% off on selected Menswear, Womenswear & Lingerie. 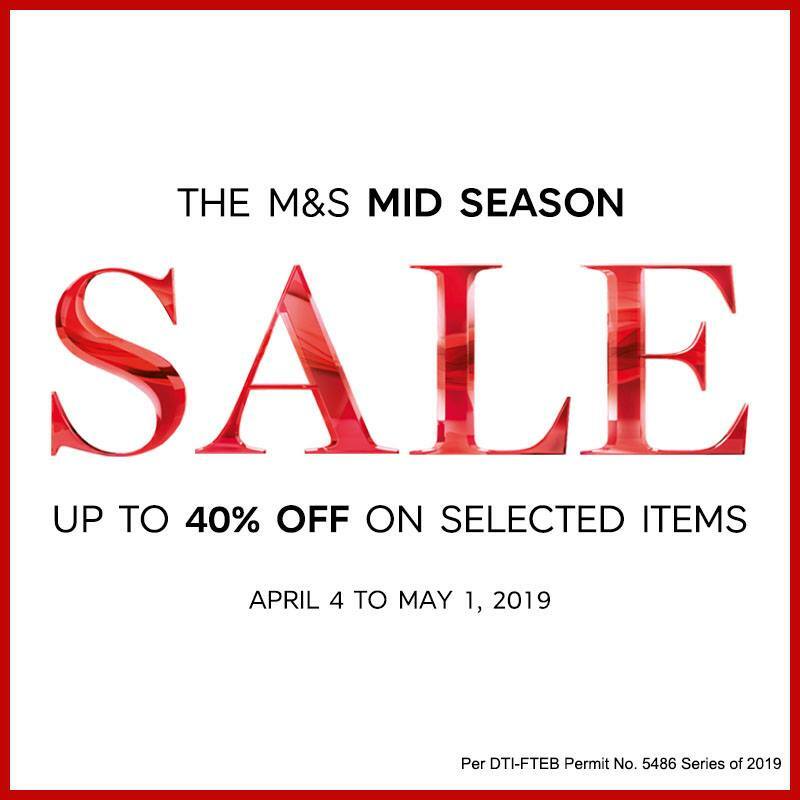 Head to your nearest M&S stores now until May 1, 2019.